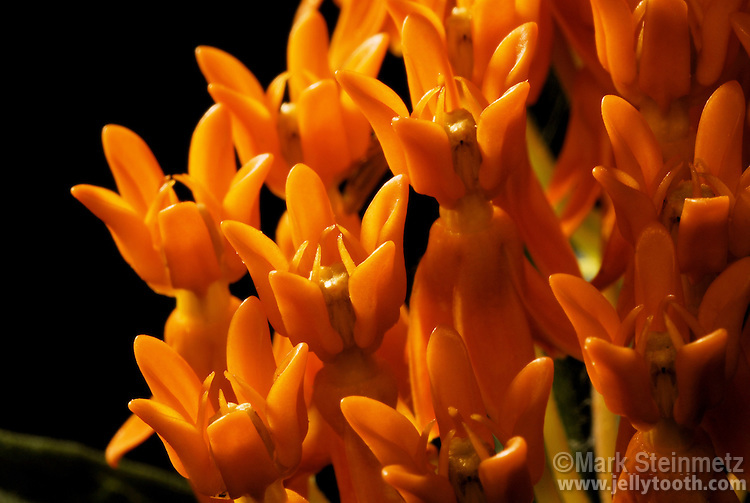 Close-up of blooming Butterfly Weed (Ascelpias tuberosa) flowers. Butterfly Weed is In the Milkweed Family, but lacks the characteristic milky sap of it's genus. Host plant for Monarch butterfly. Common name comes from the brilliantly colored flowers, which attract many species of butterflies. Native to North America. Also called Pleurisy-Root. Blooms from early summer to early fall.